Also attractive for edge server deployments is the support of the extended temperature range (-40 to 85 °C) for selected versions and the comprehensive RAS (reliability, availability and serviceability) features common to all versions. Edge applications benefit from the hardware-integrated virtualization and comprehensive security package that includes Secure Boot System, Secure Memory Encryption (SME) and Secure Encrypted Virtualization (SEV), as well as a secure migration channel between two SEV-capable platforms. Support is also given for IPsec with integrated crypto acceleration. As a consequence, even the server administrator does not have access to such an encrypted Virtual Machine (VM). This is important for the high security required by many edge server services, which must enable multi-vendor applications in Industry 4.0 automation while effectively warding off sabotage attempts by hackers. The conga-B7E3 COM Express Type 7 modules are equipped with AMD EPYC Embedded 3000 processors with 4, 8, 12, or 16 high-performance cores, support simultaneous multi-threading (SMT) and up to 96 GB of DDR4 2666 RAM in the COM Express Basic form factor and up to 1TB in full custom designs. 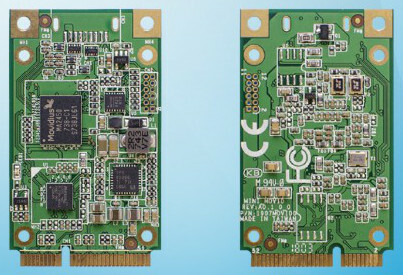 Measuring just 125 x 95 mm, the COM Express Basic Type 7 module supports up 4x 10 GbE and up to 32 PCIe Gen 3 lanes. For storage the module even integrates an optional 1 TB NVMe SSD and offers 2x SATA Gen 3.0 ports for conventional drives. Further interfaces include 4x USB 3.1 Gen 1, 4x USB 2.0 as well as 2x UART, GPIO, I2C, LPC and SPI. Attractive features also include seamless support of dedicated high-end GPUs and improved floating-point performance, which is essential for emerging AI and HPC applications. Congatec also offers advanced cooling solutions for its COM Express Type 7 Server-on-Modules that match the processor, support fanless cooling even beyond 65 W TDP, and can be adapted to customers’ housings, if required. This allows OEMs to integrate maximum processor performance into their designs, as performance is often limited by the system’s cooling capacity. OS support is provided for Linux and Yocto, as well as Microsoft Windows 10 and Windows Server. 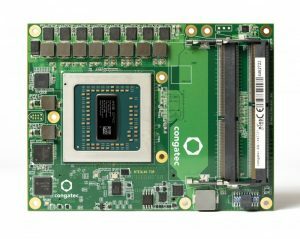 Qualcomm’s octa-core Snapdragon 660 appeared on Intrinsyc’s Open-Q 660 HDK Mini-ITX dev kit back in 2017 and also showed up on an Inforce 6560 Pico-ITX SBC announced in February. Now Intrinsyc has returned with a tiny compute module implementation. 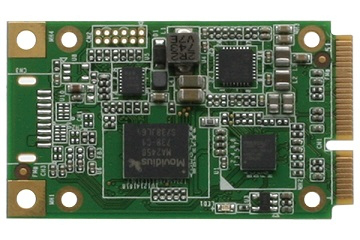 The $225 Open-Q 660 µSOM (micro System on Module) measures only 50 mm x 25mm. (click images to enlarge)Applications for the Open-Q 660 μSOM include on-device artificial intelligence, enhanced gaming, power optimization, device management, security, and advanced photography and image processing jobs such as camera and audio tuning. 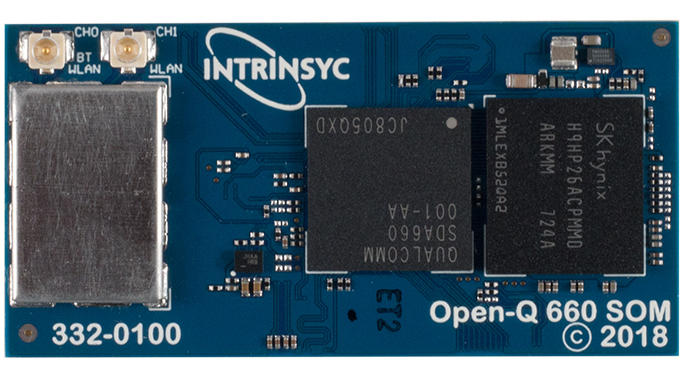 Intrinysc mentions a development kit that will connect to the module via its 3x 100-pin board to board connectors, but there were no further details. The module runs Android 9.0 on the Snapdragon 660 (Qualcomm SDA660), which is claimed to offer up to 20 percent higher CPU performance and 30 percent higher graphics performance compared to the similarly octa-core Snapdragon 653. The Snapdragon 660 is also faster than the octa-core Snapdragon 625 and almost identical Snapdragon 626 thanks to its use of Cortex-A73-like “Kryo” cores. The 14nm fabricated SoC has 4x Kryo cores clocked to 2.2 GHz and 4x clocked to 1.84 GHz, as well as a 650 MHz Adreno 512 GPU. The module’s AI potentiality is unlocked via dual Spectra 160 ISPs and a Hexagon 680 DSP with Hexagon Vector eXtensions (HVX), which supports Caffe2 and Tensorflow for machine learning and image processing. (click image to enlarge)The Open-Q 660 μSOM has the same footprint as the Snapdragon 820 based Open-Q 820 µSOM. 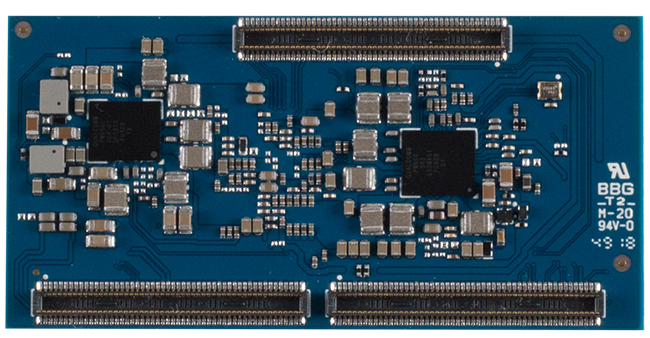 The module ships with a combo eMCP chip with 32GB eMMC and 4GB of dual-channel, 1866MHz LPDDR4 SDRAM. 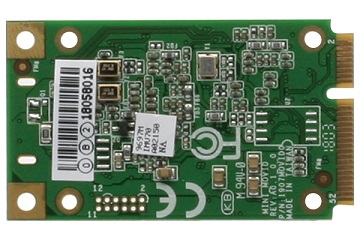 The module integrates a 2.4/5GHz 802.11a/b/g/n/ac 2×2 MU-MIMO WiFi radio via a Qualcomm WCN3990 module supported with 5GHz external PA and U.FL antenna connectors. Bluetooth 5.x is also on board. The Open-Q 660 μSOM is equipped with 2x 4-lane MIPI-DSI interfaces for up to 2560 x 1600 displays plus DP 1.4 for up to 4K@30 or 2K@60. The up to 24-megapixel camera support is derived from 3x 4-lane MIPI-CSI connections with I2C controllers for each camera port plus 2x camera flash control signals. Audio features include a SLIMBus interface for external Qualcomm codecs plus optional Qualcomm Fluence support. You also get 4- and 2-lane MI2S interfaces for external audio devices, a Soundwire link for digital amps, and 2x PDM-based digital mic interfaces. The Open-Q 660 μSOM supports single USB 3.1 Gen1 Type-C and USB 2.0 host ports plus 4-bit SD 3.0, 8x BLSP (UART, I2C, SPI), and configurable GPIOs. The module provides a PMIC and battery charging circuitry and offers a 3.6V to 4.2V input and a -10 to 70°C operating range. This article originally appeared on LinuxGizmos.com on March 25. NXP Semiconductors has announced its Immersiv3D audio solution for the smart home market. The solution combines NXP software on its i.MX 8M Mini applications processor and will support both Dolby Atmos and DTS:X immersive audio technologies in future devices that integrate the i.MX 8M Mini SoC. The i.MX 8M Mini also brings smart capabilities like voice control to a broader range of consumer devices including soundbars, smart speakers, and AV receivers with the option for adding additional speakers to distribute smart voice control and immersive audio throughout the home. TVs and audio systems are becoming more advanced thanks in large part to the development of Dolby Atmos and DTS:X. Both technologies are a leap forward from surround sound and transport listeners with moving audio that fills the room and flows all around them. Listeners will feel like they’re inside the action as the sounds of people, places, thing, and music come alive with breathtaking realism. NXP’s Immersiv3D audio solution was designed to enable OEMs to bring to market affordable consumer audio devices capable of supporting Dolby Atmos and DTS:X in their next-generation devices. Conventional design approaches to audio systems use Digital Signal Processors (DSPs) to deliver complex, controlled and low-latency audio processing to enable audio and video synchronization. But Traditional embedded systems have evolved over time, and today they are capable of processing the latest 3D audio formats, but audio systems need to be designed to take advantage of today’s advanced processor cores. In conjunction with the NXP i.MX 8M family of processors, the Immersiv3D audio solution introduces an advanced approach that features scalable audio processing integration into the SoC Arm cores. This approach eliminates the need for expensive discrete DSPs, and also once-proprietary DSP design foundations, to embrace licensable cores. The solution delivers high-end audio features such as immersive multi-channel audio playback, natural language processing and voice capabilities to fit today’s digitally savvy connected consumer. The NXP Immersiv3D audio solution gives audio developers, designers and integrators a leap forward to add intelligence and Artificial Intelligence (AI) functionality while reducing cost. This includes development of enhancements like selective noise canceling where only certain sound elements are removed like car traffic or speech processing like changing speaker dialect or languages. The solution introduces an easy-to-use, low-cost enablement for voice capability expansion. Audio systems built using NXP’s Immersiv3D with the i.MX 8M Mini applications processor will give consumers the flexibility to add different audio speakers, regardless of brand, to stream simultaneous and synchronized audio with voice control from their systems. NXP showcased its i.MX applications processor family including Immersiv3D at the CES 2019 show. Gone are the days when supercomputing meant big, rack-based systems in an air conditioned room. Today, embedded processors, FPGAs and GPUs are able to do AI and machine learning operations, enabling new types of local decision making in embedded systems. Embedded computing technology has evolved way past the point now where complete system functionality on a single chip is remarkable. Today, the levels of compute performance and parallel processing on an IC means that what were once supercomputing levels of capabilities can now be implemented in in chip-level solutions. While supercomputing has become a generalized term, what system developers are really interested in are crafting artificial intelligence, machine learning and neural networking using today’s embedded processing. 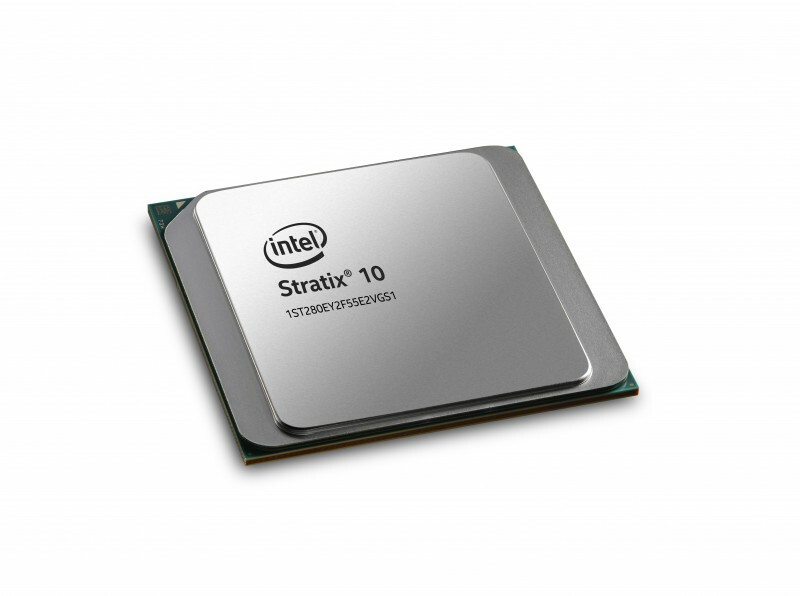 Supplying the technology for these efforts are the makers of leading-edge embedded processors, FPGAs and GPUs. In these tasks, GPUs are being used for “general-purpose computing on GPUs”, a technique also known as GPGPU computing. 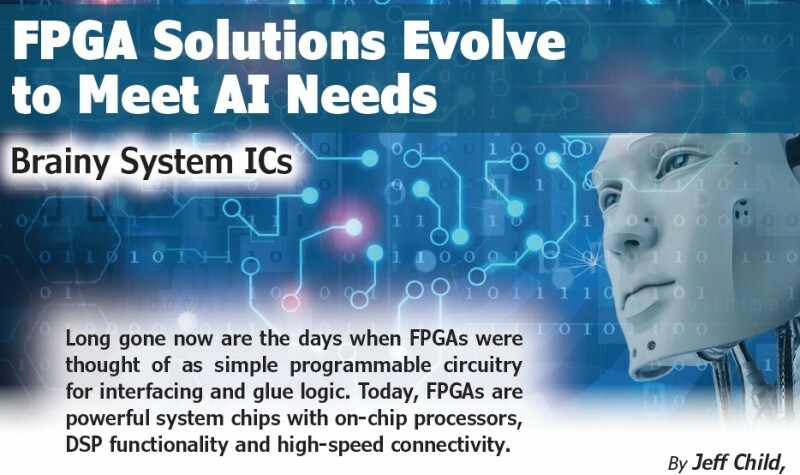 With all that in mind, embedded processor, GPU and FPGA companies have rolled out a variety of solutions over the last 12 months, aimed at performing AI, machine learning and other advanced computing functions for several demanding embedded system application segments. Back March, FPGA vendor Xilinx announced its plans to launch a new FPGA product category it calls its adaptive compute acceleration platform (ACAP). Following up on that, in October the company unveiled Versal—the first of its ACAP implementations. 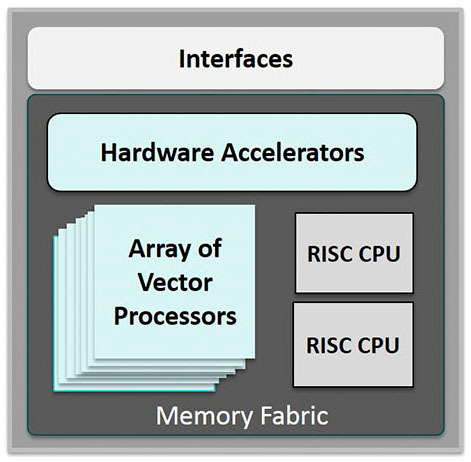 Versal ACAPs combine scalar processing engines, adaptable hardware engines and intelligent engines with advanced memory and interfacing technologies to provide heterogeneous acceleration for any application. 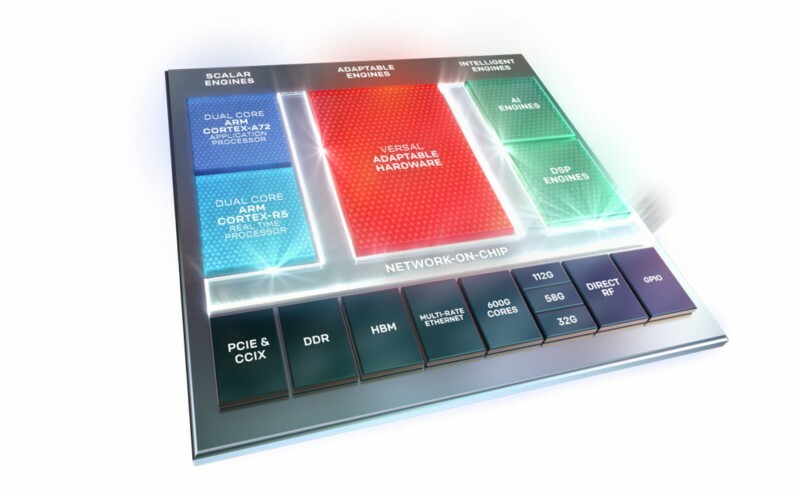 But even more importantly, according to Xilinx, the Versal ACAP’s hardware and software can be programmed and optimized by software developers, data scientists and hardware developers alike. This is enabled by a host of tools, software, libraries, IP, middleware and frameworks that facilitate industry-standard design flows. Built on TSMC’s 7-nm FinFET process technology, the Versal portfolio combines software programmability with domain-specific hardware acceleration and adaptability. The portfolio includes six series of devices architected to deliver scalability and AI inference capabilities for a host of applications across different markets, from cloud to networking to wireless communications to edge computing and endpoints. The portfolio includes the Versal Prime series, Premium series and HBM series, which are designed to deliver high performance, connectivity, bandwidth, and integration for the most demanding applications. It also includes the AI Core series, AI Edge series and AI RF series, which feature the AI Engine (Figure 1). The AI Engine is a new hardware block designed to address the emerging need for low-latency AI inference for a wide variety of applications and also supports advanced DSP implementations for applications like wireless and radar. Xilinx’s AI Engine is a new hardware block designed to address the emerging need for low-latency AI inference for a wide variety of applications. It also supports advanced DSP implementations for applications like wireless and radar. It is tightly coupled with the Versal Adaptable Hardware Engines to enable whole application acceleration, meaning that both the hardware and software can be tuned to ensure maximum performance and efficiency. The portfolio debuts with the Versal Prime series, delivering broad applicability across multiple markets and the Versal AI Core series, delivering an estimated 8x AI inference performance boost compared to industry-leading GPUs, according to Xilinx. Following the AI trend, back in May Lattice Semiconductor unveiled Lattice sensAI, a technology stack that combines modular hardware kits, neural network IP cores, software tools, reference designs and custom design services. In September the company unveiled expanded features of the sensAI stack designed for developers of flexible machine learning inferencing in consumer and industrial IoT applications. Building on the ultra-low power (1 mW to 1 W) focus of the sensAI stack, Lattice released new IP cores, reference designs, demos and hardware development kits that provide scalable performance and power for always-on, on-device AI applications. Embedded system developers can build a variety of solutions enabled by sensAI. They can build stand-alone iCE40 UltraPlus/ECP5 FPGA based always-on, integrated solutions, with latency, security and form factor benefits. Alternatively, they can use CE40 UltraPlus as an always-on processor that detects key phrases or objects, and wakes-up a high-performance AP SoC / ASIC for further analytics only when required, reducing overall system power consumption. And, finally, you can use the scalable performance/power benefits of ECP5 for neural network acceleration, along with I/O flexibility to seamlessly interface to on-board legacy devices including sensors and low-end MCUs for system control. Human face detection application example. 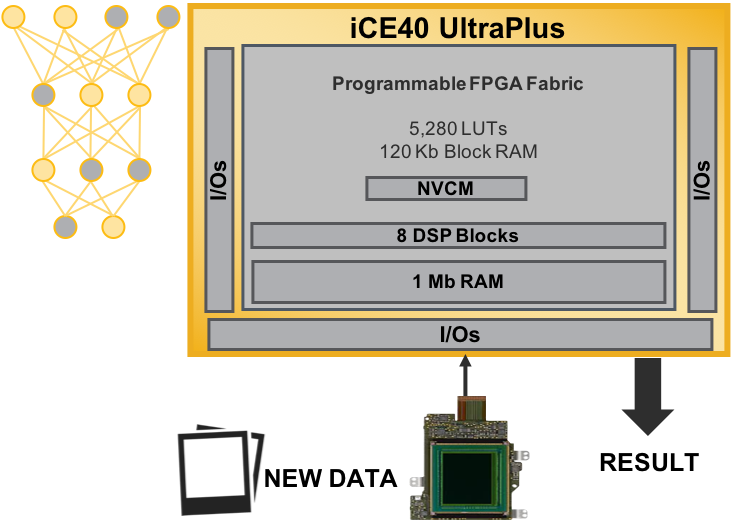 iCE40 UlraPlus enables AI with an always-on image sensor, while consuming less than 1 mW of active power. 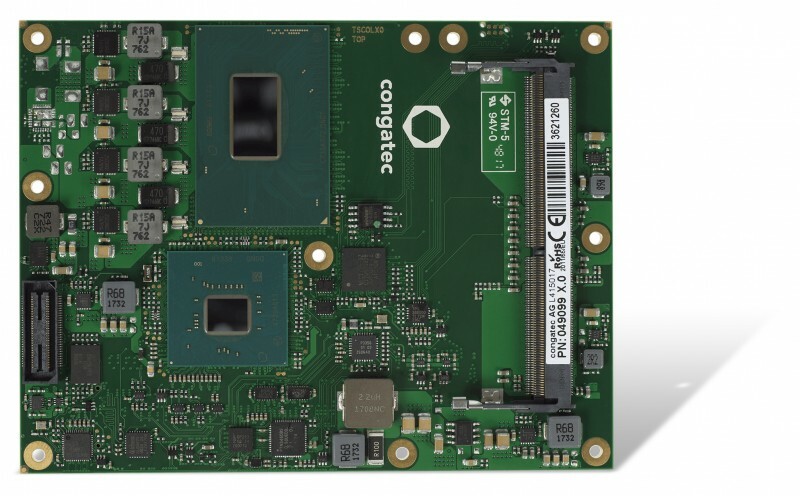 Congatec has introduced a Computer-on-Module for the entry-level of high-end embedded computing based on Intel’s latest Core i3-8100H processor platform. The board’s fast 16 PCIe Gen 3.0 lanes make it suited for all new artificial intelligence (AI) and machine learning applications requiring multiple GPUs for massive parallel processing. 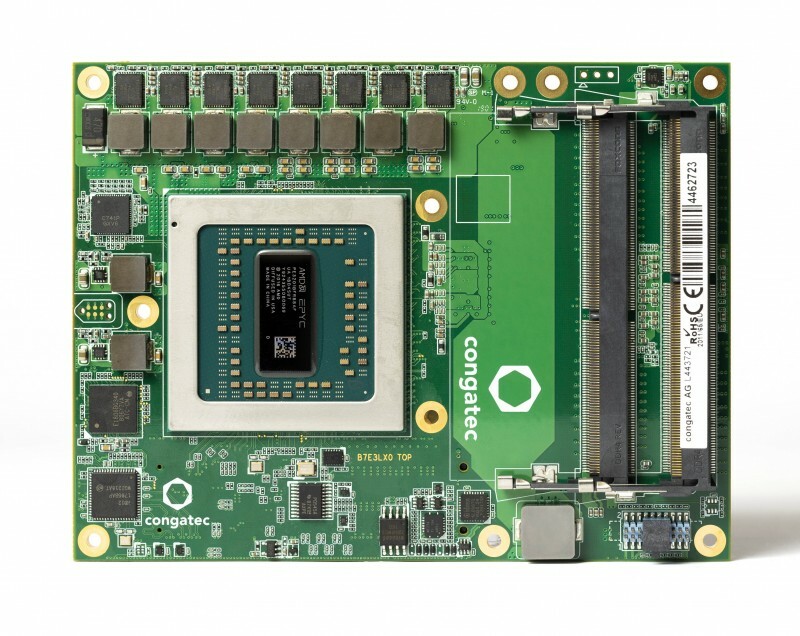 The new conga-TS370 COM Express Basic Type 6 Computer-on-Module with quad-core Intel Core i3 8100H processor offers a 45 W TDP configurable to 35 W, supports 6 MB cache and provides up to 32 GB dual-channel DDR4 2400 memory. Compared to the preceding 7th generation of Intel Core processors, the improved memory bandwidth also helps to increase the graphics and GPGPU performance of the integrated new Intel UHD630 graphics, which additionally features an increased maximum dynamic frequency of up to 1.0 GHz for its 24 execution units. It supports up to three independent 4K displays with up to 60 Hz via DP 1.4, HDMI, eDP and LVDS. Embedded system designers can now switch from eDP to LVDS purely by modifying the software without any hardware changes. The module further provides exceptionally high bandwidth I/Os including 4x USB 3.1 Gen 2 (10 Gbit/s), 8x USB 2.0 and 1x PEG and 8 PCIe Gen 3.0 lanes for powerful system extensions including Intel Optane memory. All common Linux operating systems as well as the 64-bit versions of Microsoft Windows 10 and Windows 10 IoT are supported. Congatec’s personal integration support rounds off the feature set. Additionally, Congatec also offers an extensive range of accessories and comprehensive technical services, which simplify the integration of new modules into customer-specific solutions. 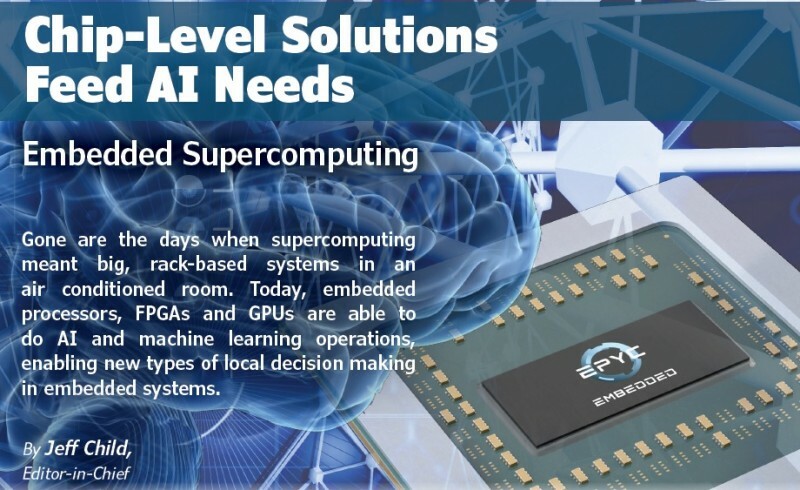 Renesas Electronics has now developed a new RZ/A2M microprocessor (MPU) to expand the use of artificial intelligence (e-AI) solutions to high-end applications. The new MPU delivers 10 times the image processing performance of its predecessor, the RZ/A1, and incorporates Renesas’ exclusive Dynamically Reconfigurable Processor (DRP), which achieves real-time image processing at low power consumption. This allows applications incorporating embedded devices–such as smart appliances, service robots, and compact industrial machinery–to carry out image recognition employing cameras and other AI functions while maintaining low power consumption, and accelerating the realization of intelligent endpoints. Currently, there are several challenges to using AI in the operational technology (OT) field, such as difficulty transferring large amounts of sensor data to the cloud for processing, and delays waiting for AI judgments to be transferred back from the cloud. Renesas already offers AI unit solutions that can detect previously invisible faults in real time by minutely analyzing oscillation waveforms from motors or machines. 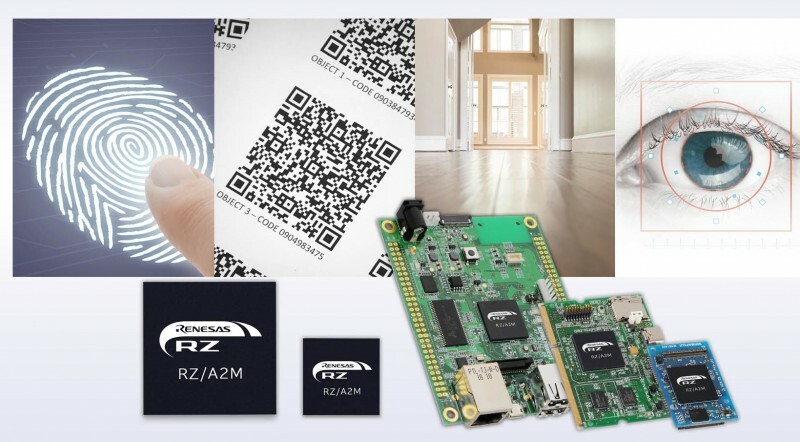 To accelerate the adoption of AI in the OT field, Renesas has developed the RZ/A2M with DRP, which makes possible image-based AI functionality requiring larger volumes of data and more powerful processing performance than achievable with waveform measurement and analysis. Since real-time image processing can be accomplished while consuming very little power, battery-powered devices can perform tasks such as real-time image recognition based on camera input, biometric authentication using fingerprints or iris scans, and high-speed scanning by handheld scanners. This solves several issues associated with cloud-based approaches, such as the difficulty of achieving real-time performance, assuring privacy and maintaining security. The RZ/A2M with DRP is a new addition to the RZ/A Series lineup of MPUs equipped with large capacity on-chip RAM, which eliminates the need for external DRAM. The RZ/A Series MPUs address applications employing human-machine interface (HMI) functionality, and the RZ/A2M adds to this capability with features ideal for applications using cameras. It supports the MIPI camera interface, widely used in mobile devices, and is equipped with a DRP for high-speed image processing. Renesas has also boosted network functionality with the addition of two-channel Ethernet support, and enhanced secure functionality with an on-chip hardware encryption accelerator. These features enable safe and secure network connectivity, making the new RZ/A2M best suited for a wide range of systems employing image recognition, from home appliances to industrial machinery. Samples of the RZ/A2M with DRP are available now. The RZ/A2M MPUs are offered with a development board, reference software, and DRP image-processing library, allowing customers to begin evaluating HMI function and image processing performance. Mass production is scheduled to start in the first quarter of 2019, and monthly production volume for all RZ/A2M versions is anticipated to reach a combined 400,000 units by 2021. 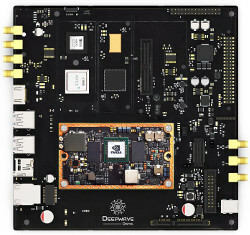 A Philadelphia based startup called Deepwave Digital has gone to Crowd Supply to launch its “Artificial Intelligence Radio – Transceiver” (AIR-T) SBC. The AIR-T is a software defined radio (SDR) platform for the 300 MHz to 6 GHz range with AI and deep learning hooks designed for “low-cost AI, deep learning, and high-performance wireless systems,” says Deepwave Digital. The 170 mm x 170 mm Mini-ITX board is controlled by an Ubuntu stack running on an Arm hexa-core powered Nvidia Jetson TX2 module. 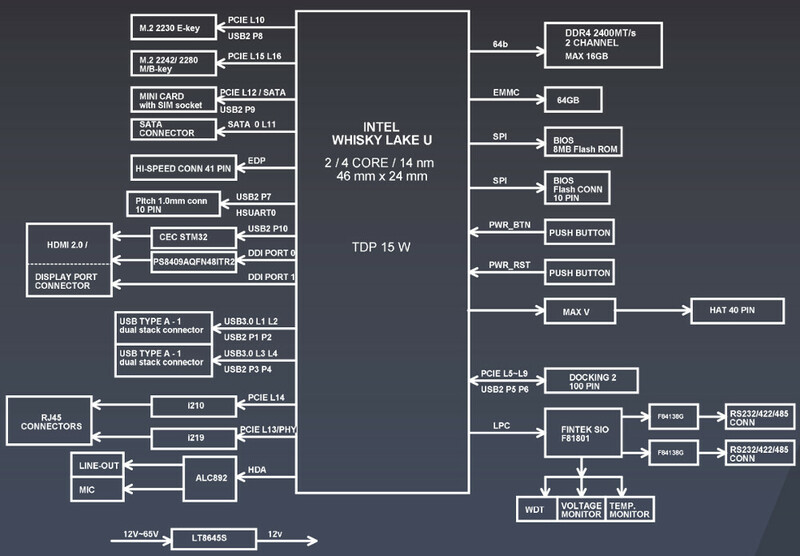 There’s also a Xilinx Artix-7 FPGA and an Analog Devices AD9371 RFIC 2×2 MIMO transceiver. The AIR-T is available through Aug. 14 for $4,995 on Crowd Supply with shipments due at the end of November. Deepwave Digital has passed the halfway point to its $20K goal, but it’s already committed to building the boards regardless of the outcome. 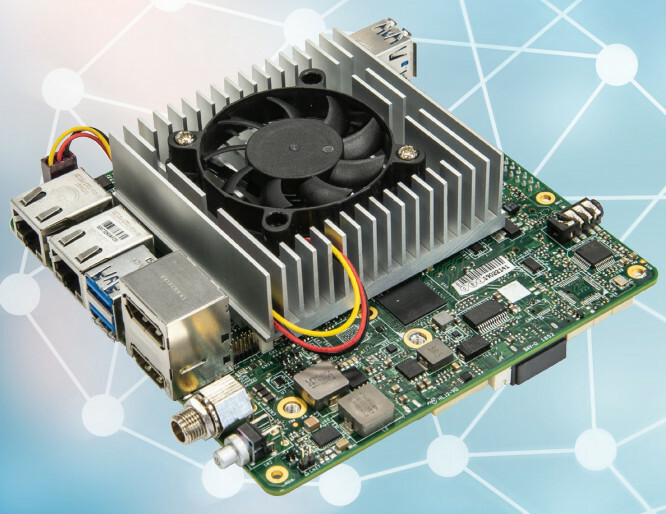 The AIR-T is designed for researchers who want to apply the deep learning powers of the Jetson TX2’s 256-core Pascal GPU and its CUDA libraries to the SDR capabilities provided by the Artix 7 and AD9371 transceiver. 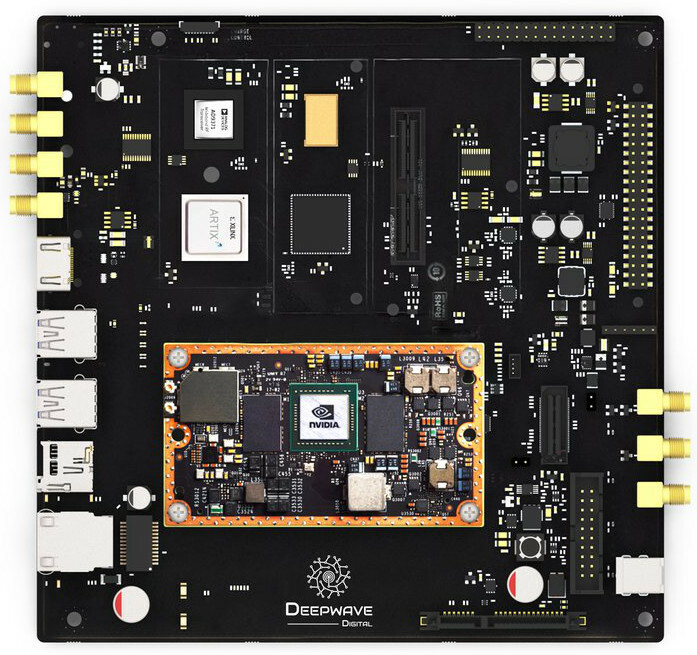 The platform can function as a “highly parallel SDR, data recorder, or inference engine for deep learning algorithms,” and provides for “fully autonomous SDR by giving the AI engine complete control over the hardware,” says Deepwave Digital. Resulting SDR applications can process bandwidths greater than 200MHz in real-time, claims the company. 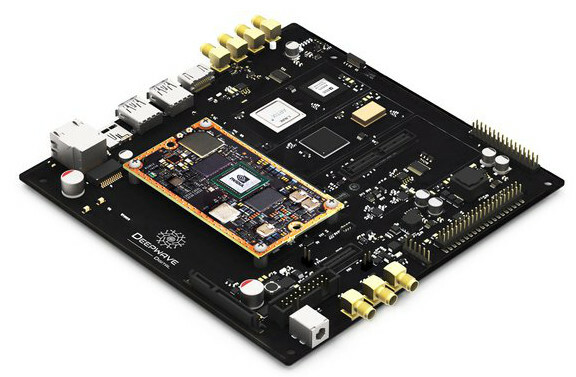 The software platform is built around “custom and open” Ubuntu 16.04 software running on the Jetson TX2, as well as custom FPGA blocks that interface with the open source GNU Radio SDR development platform. The combined stack enables developers to avoid coding CUDA or VHDL. You can prototype in GNU Radio, and then optionally port it to Python or C++. More advanced users can program the Artix 7 FPGA and Pascal GPU directly. AIR-T is described as an “open platform,” but this would appear to refer to the software rather than hardware. The AIR-T enables the development of new wireless technologies, where AI can help maximize resources with today’s increasingly limited spectrum. Potential capabilities include autonomous signal identification and interference mitigation. The AIR-T can also be used for satellite and terrestrial communications. The latter includes “high-power, high-frequency voice communications to 60GHz millimeter wave digital technology,” says Deepwave. Other applications include video, image, and audio recognition. You can “demodulate a signal and apply deep learning to the resulting image, video, or audio data in one integrated platform,” says the company. The product can also be used for electrical engineering or applied physics research. Nvidia’s Jetson TX2 module features 2x high-end “Denver 2” cores, 4x Cortex-A57 cores, and the 256-core Pascal GPU with CUDA libraries for running machine learning algorithms. The TX2 also supplies the AIR-T with 8 GB of LPDDR4 RAM, 32 GB of eMMC 5.1, and 802.11ac Wi-Fi and Bluetooth. 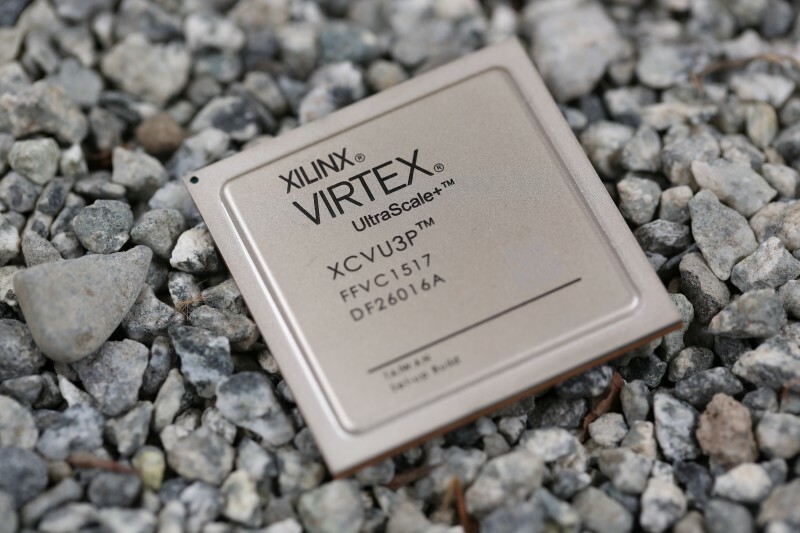 The Xilinx Artix-7 provides 75k logic cells. 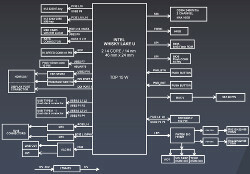 The FPGA interfaces with the Analog Devices AD9371 (PDF) dual RF transceiver designed for 300 MHz to 6 GHz frequencies. 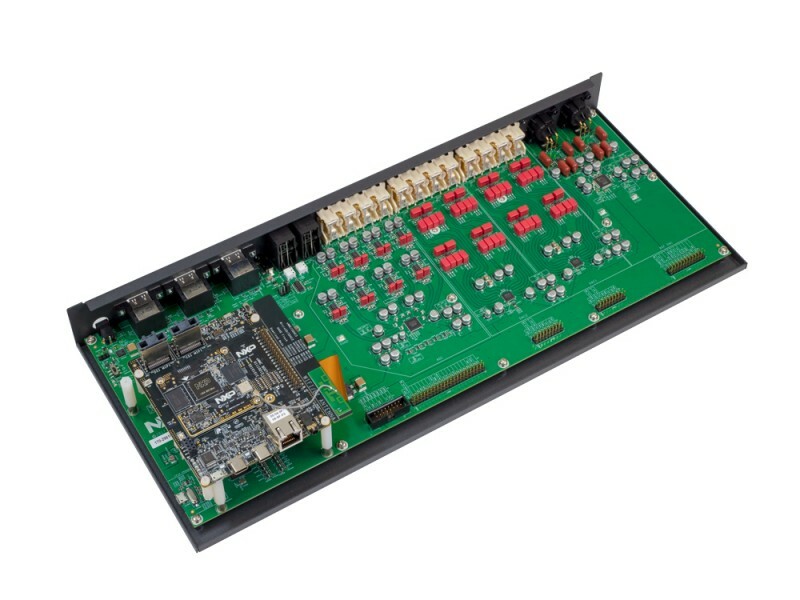 The AD9371 features 2x RX and 2x TX channels at 100 MHz for each channel, as well as auxiliary observation and sniffer RX channels. The AIR-T is further equipped with a SATA port and a microSD slot loaded with the Ubuntu stack, as well as GbE, USB 3.0, USB 2.0 and 4K-ready HDMI ports. You also get DIO, an external LO input, a PPS and 10 MHz reference input, and a power supply. It typically runs on 22 W, or as little as 14 W with reduced GPU usage. Other features include 4x MCX-to-SMA cables and an optional enclosure. The Artificial Intelligence Radio – Transceiver (AIR-T) is available through Aug. 14 for $4,995 on Crowd Supply — at a 10 percent discount from retail — with shipments due at the end of November. More information may be found on the AIR-T Crowd Supply page and the Deepwave Digital website. 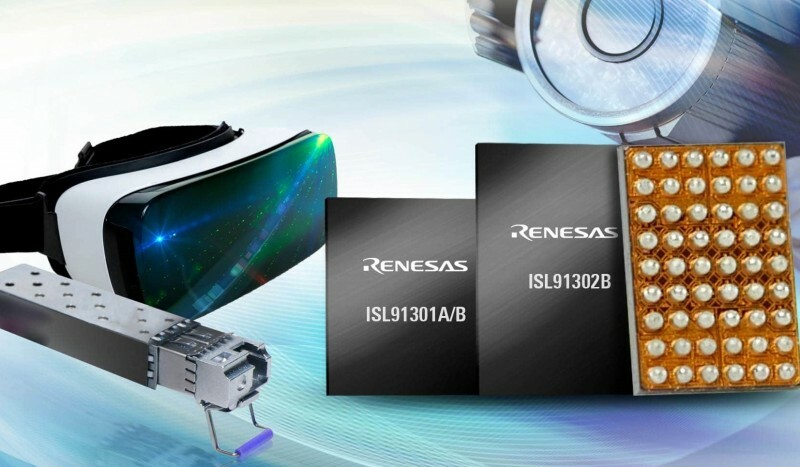 This article originally appeared on LinuxGizmos.com on July 18..
Renesas Electronics has announced three programmable power management ICs (PMICs) that offer high power efficiency and small footprint for application processors in smartphones and tablets: the ISL91302B, ISL91301A, and ISL91301B PMICs. The PMICs also deliver power to artificial intelligence (AI) processors, FPGAs and industrial microprocessors (MPUs). They are also well-suited for powering the supply rails in solid-state drives (SSDs), optical transceivers, and a wide range of consumer, industrial and networking devices. The ISL91302B dual/single output, multiphase PMIC provides up to 20 A of output current and 94 percent peak efficiency in a 70 mm2 solution size that is more than 40% smaller than competitive PMICs. In addition to the ISL91302B, Renesas’ ISL91301A triple output PMIC and ISL91301B quad output PMIC both deliver up to 16 A of output power with 94% peak efficiency. The new programmable PMICs leverage Renesas’ R5 Modulation Technology to provide fast single-cycle transient response, digitally tuned compensation, and ultra-high 6 MHz (max) switching frequency during load transients. These features make it easier for power supply designers to design boards with 2 mm x 2 mm, 1mm low profile inductors, small capacitors and only a few passive components. Renesas PMICs also do not require external compensation components or external dividers to set operating conditions. Each PMIC dynamically changes the number of active phases for optimum efficiency at all output currents. Their low quiescent current, superior light load efficiency, regulation accuracy, and fast dynamic response significantly extend battery life for today’s feature-rich, power hungry devices. The ISL91302B dual/single output PMIC is available now in a 2.551 mm x 3.670 ball WLCSP package and is priced at $3.90 in 1k quantities. 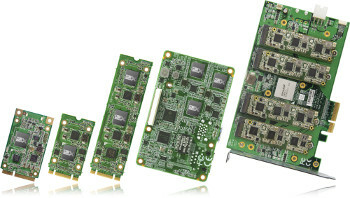 For more information on the ISL91302B, please visit: www.intersil.com/products/isl91302B. The ISL91301A triple-output PMIC and ISL91301B quad-output PMIC are available now in 2.551 mm x 2.87 mm, 42-ball WLCSP packages, both priced at $3.12 in 1k quantities. For more information on the ISL91301A, please visit: www.intersil.com/products/isl91301A. For more information on the ISL91301B, please visit: www.intersil.com/products/isl91301B. 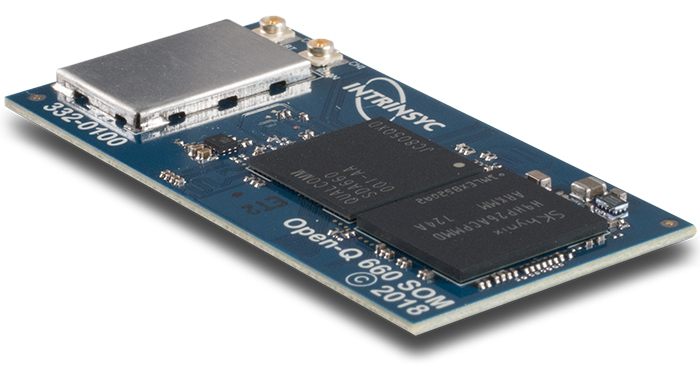 As promised by Intel when it announced an Intel AI: In Production program for its USB stick form factor Movidius Neural Compute Stick, Aaeon has launched a mini-PCIe version of the device called the UP AI Core. It similarly integrates Intel’s AI-infused Myriad 2 Vision Processing Unit (VPU). 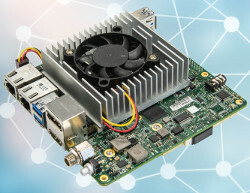 The mini-PCIe connection should provide faster response times for neural networking and machine vision compared to connecting to a cloud-based service. The UP AI Core is optimized for Aaeon’s Ubuntu-supported UP Squared hacker board, which runs on Intel’s Apollo Lake SoCs. However, it should work with any 64-bit x86 computer or SBC equipped with a mini-PCIe slot that runs Ubuntu 16.04. Host systems also require 1GB RAM and 4GB free storage. That presents plenty of options for PCs and embedded computers, although the UP Squared is currently the only x86-based community backed SBC equipped with a Mini-PCIe slot. disparaging Intel’s Neural Compute Stick or other USB-based products that might emerge from the Intel AI: In Production program. Performance issues aside, because a mini-PCIe module is usually embedded within computers, it provides more security than a USB stck. On the other hand, that same trait hinders ease of mobility. Unlike the UP AI Core, the Neural Compute Stick can run on an ARM-based Raspberry Pi, but only with the help of the Stretch desktop or an Ubuntu 16.04 VirtualBox instance. In 2016, before it was acquired by Intel, Movidius launched its first local-processing version of the Myriad 2 VPU technology, called the Fathom. This Ubuntu-driven USB stick, which miniaturized the technology in the earlier Myriad 2 reference board, is essentially the same technology that re-emerged as Intel’s Movidius Neural Compute Stick. Neural network processors can significantly outperform traditional computing approaches in tasks like language comprehension, image recognition, and pattern detection. The vast majority of such processors — which are often repurposed GPUs — are designed to run on cloud servers. The Myriad 2 technology can translate deep learning frameworks like Caffe and TensorFlow into its own format for rapid prototyping. 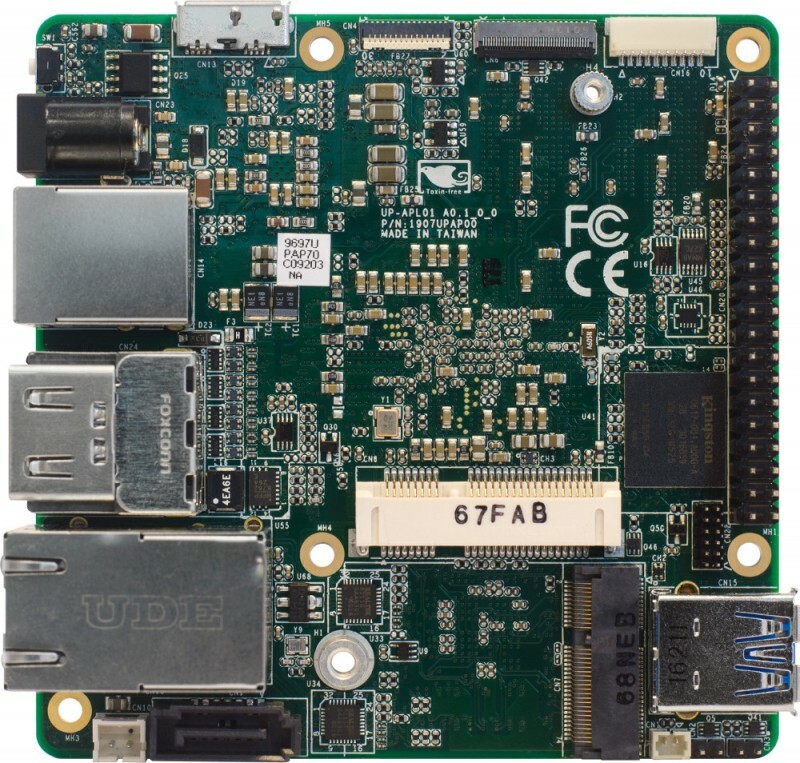 This is one reason why Google adopted the Myriad 2 technology for its recent AIY Vision Kit for the Raspberry Pi Zero W. The kit’s VisionBonnet pHAT board uses the same Movidius MA2450 chip that powers the UP AI Core. On the VisionBonnet, the processor runs Google’s open source TensorFlow machine intelligence library for neural networking, enabling visual perception processing at up to 30 frames per second. Intel and Google aren’t alone in their desire to bring AI acceleration to the edge. Huawei released a Kirin 970 SoC for its Mate 10 Pro phone that provides a neural processing coprocessor, and Qualcomm followed up with a Snapdragon 845 SoC with its own neural accelerator. The Snapdragon 845 will soon appear on the Samsung Galaxy S9, among other phones, and will also be heading for some high-end embedded devices. 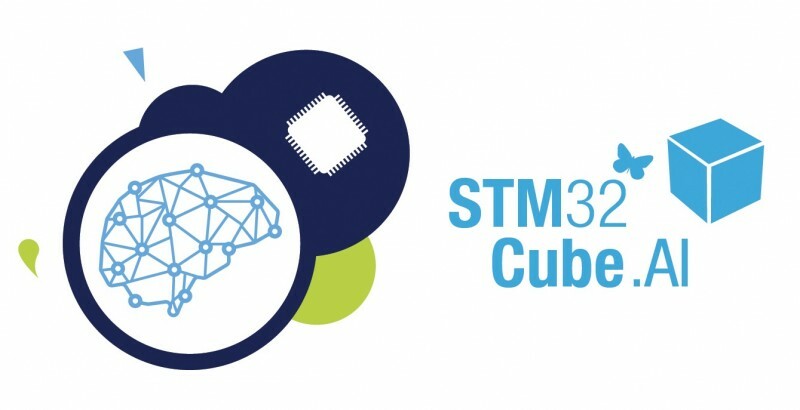 Last month, Arm unveiled two new Project Trillium AI chip designs intended for use as mobile and embedded coprocessors. Available now is Arm’s second-gen Object Detection (OD) Processor for optimizing visual processing and people/object detection. Due this summer is a Machine Learning (ML) Processor, which will accelerate AI applications including machine translation and face recognition. The UP AI Core is available for pre-order at $69 for delivery in late April. More information may be found at Aaeon’s UP AI Core announcement and its UP Community UP AI Edge page for the UP AI Core. This article originally appeared on LinuxGizmos.com on March 6. At the CES show last month, Mercedes-Benz its NVIDIA-powered MBUX infotainment system–a next-gen car cabin experience can learn and adapt to driver and passenger preferences, thanks to artificial intelligence. According to NVIDIA, all the key MBUX systems are built together with NVIDIA, and they’re all powered by NVIDIA. The announcement comes a year after Huang joined Mercedes-Benz execs on stage at CES 2017 and said that their companies were collaborating on an AI car that would be ready in 2018. 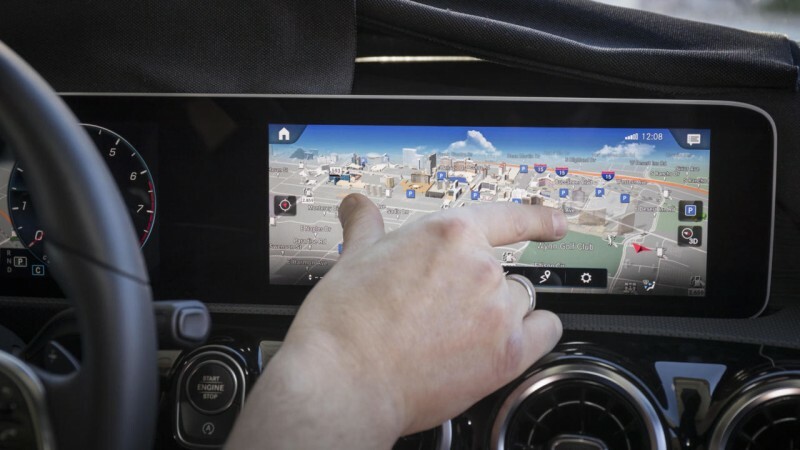 Powered by NVIDIA graphics and deep learning technologies, the Mercedes-Benz User Experience, or MBUX, has been designed to deliver beautiful new 3D touch-screen displays. It can be controlled with a new voice-activated assistant that can be summoned with the phrase “Hey, Mercedes. It’s an intelligent learning system that adapts to the requirements of customers, remembering such details as the seat and steering wheel settings, lights and other comfort features. The MBUX announcement highlights the importance of AI to next-generation infotainment systems inside the car, even as automakers are racing put AI to work to help vehicles navigate the world around them autonomously. The new infotainment system aims to use AI to adapt itself to drivers and passengers— automatically suggesting your favorite music for your drive home, or offering directions to a favorite restaurant at dinner time. It’s also one that will benefit from “over-the-air” updates delivering new features and capabilities. Debuting in this month (February) in the new Mercedes-Benz A-Class, MBUX will power dramatic wide-screen displays that provide navigation, infotainment and other capabilities, touch-control buttons on the car’s steering wheel, as well as an intelligent assistant that can be summoned with a voice command. It’s an interface that can change its look to reflect the driver’s mood—whether they’re seeking serenity or excitement—and understand the way a user talks. 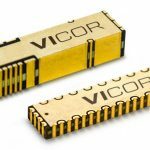 Vicor has announced the introduction of Power-on-Package modular current multipliers for high performance, high current, CPU/GPU/ASIC (“XPU”) processors. By freeing up XPU socket pins and eliminating losses associated with delivery of current from the motherboard to the XPU, Vicor’s Power-on-Package solution enables higher current delivery for maximum XPU performance. In response to the ever-increasing demands of high performance applications–artificial intelligence, machine learning, big data mining—XPU operating currents have risen to hundreds of Amperes. Point-of-Load power architectures in which high current power delivery units are placed close to the XPU, mitigate power distribution losses on the motherboard but do nothing to lessen interconnect challenges between the XPU and the motherboard. With increasing XPU currents, the remaining short distance to the XPU—the “last inch”—consisting of motherboard conductors and interconnects within the XPU socket has become a limiting factor in XPU performance and total system efficiency. Vicor’s new Power-on-Package Modular Current Multipliers (“MCMs”) fit within the XPU package to expand upon the efficiency, density, and bandwidth advantages of Vicor’s Factorized Power Architecture, already established in 48 V Direct-to-XPU motherboard applications by early adopters. As current multipliers, MCMs mounted on the XPU substrate under the XPU package lid, or outside of it, are driven at a fraction (around 1/64th) of the XPU current from an external Modular Current Driver (MCD). The MCD, located on the motherboard, drives MCMs and accurately regulates the XPU voltage with high bandwidth and low noise. The solution profiled today, consisting of two MCMs and one MCD, enables delivery of up to 320 A of continuous current to the XPU, with peak current capability of 640 A. With MCMs mounted directly to the XPU substrate, the XPU current delivered by the MCMs does not traverse the XPU socket. And, because the MCD drives MCMs at a low current, power from the MCD can be efficiently routed to MCMs reducing interconnect losses by 10X even though 90% of the XPU pins typically required for power delivery are reclaimed for expanded I/O functionality. Additional benefits include a simplified motherboard design and a substantial reduction in the minimum bypass capacitance required to keep the XPU within its voltage limits. Multiple MCMs may be operated in parallel for increased current capability. The small (32mm x 8mm x 2.75mm) package and low noise characteristics of the MCM make it suitable for co-packaging with noise-sensitive, high performance ASICs, GPUs and CPUs. Operating temperature range is -40°C to +125°C. These devices represent the first in a portfolio of Power-on-Package solutions scalable to various XPU needs.